The BikeBiz Jobs board is now bringing the latest jobs in the bicycle business to the growing world of Twitter. Featuring positions at distributors, retailers and manufacturers in the bike trade, the BikeBiz Jobs Board includes a wide-ranging field of vacancies, including mechanics, sales representatives, brand managers, designers and more. 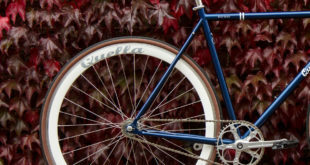 Current job of the week is for a Dealer Representative at Brompton Bicycle, based in West London. Find out more here. Job of the Week, like all the latest jobs posted on the Jobs Board, will now be tweeted too. You can find the latest jobs on Twitter by following @BikeBizJobs. You can also stay in touch with the latest news and features from BikeBiz on @BikeBizOnline. Individual Twitter feeds from BikeBiz writers are: @marksuttonbike, @carltonreid and @JonHarker.